Hey Holly Golightly: can chia seeds bring world peace? I’m going to go ahead and say no but I would forgive you for thinking Chia seeds had magical powers with the carry on about them in fitness and diet circles at the moment. So what’s all the fuss about? 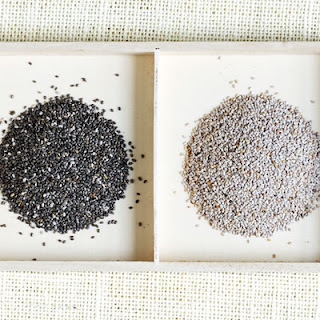 It’s hard to believe these tiny little things can pack such a nutritional punch but Chia seeds it seems are the champions everyone is claiming them to be. Rich in omega fats and anti-oxidants they are also a good source of fibre and the benefits don’t stop there. Chia is a complete protein meaning it has all the amino acids – rare for plant based proteins. Chia seeds are estrogen free but also rich in linoleic acid, an essential fatty acid the body cannot produce. All round stars really! They come from the mint family and are native to Central and Southern Mexico and Guatemala but we do grow our own here in Oz. Aussie farmers can boast superior sanitation procedures making them the better choice than the native crops. So what do you do with them? Well this is where they really do shine. They are endlessly versatile. Add them to smoothies, cereal, baking or salads. You are limited only by your imagination. Oh and there is no difference between the black and white ones!